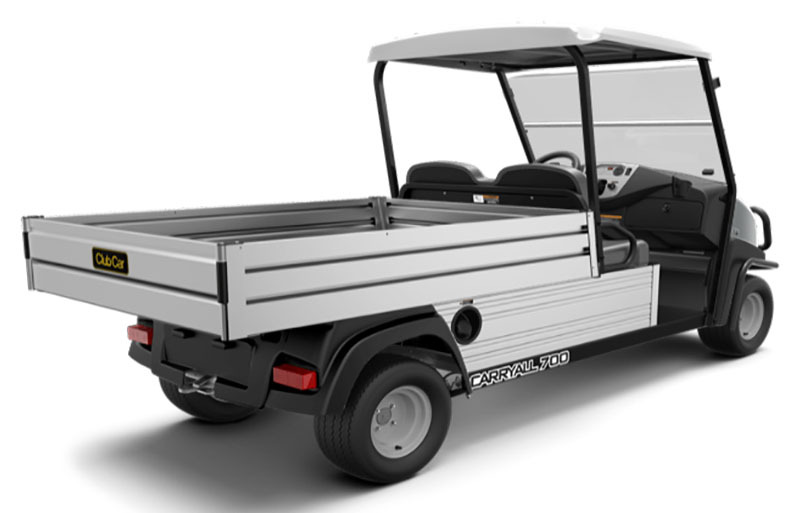 Facility managers and golf course superintendents have to keep their crews on the move, and that requires powerful and reliable cars specifically configured for grounds maintenance. 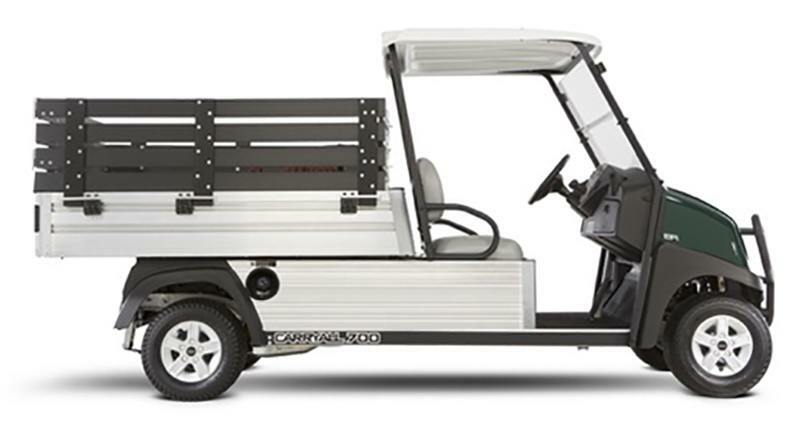 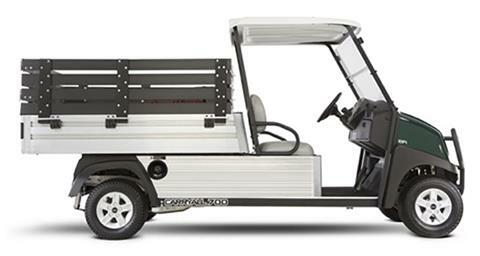 Club Car delivers that with our new Carryall 700 Grounds Maintenance Vehicle with Hose Reel. 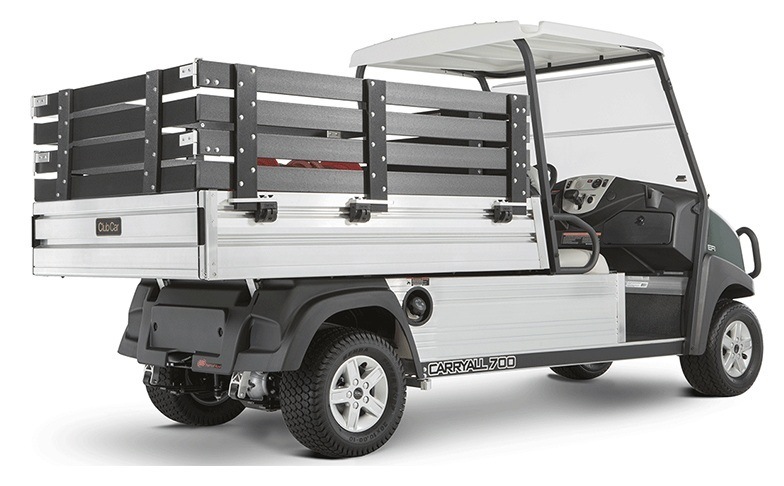 Aluminum cargo bed with stakeside kit. Hose reel with electric rewind. 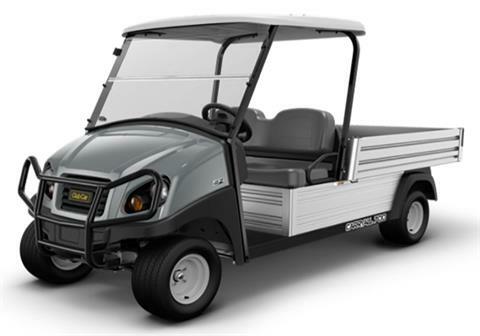 Configured like the gasoline model, the electric model comes with a 48-volt battery pack, extended-range batteries and a single-point watering system for easy battery maintenance. 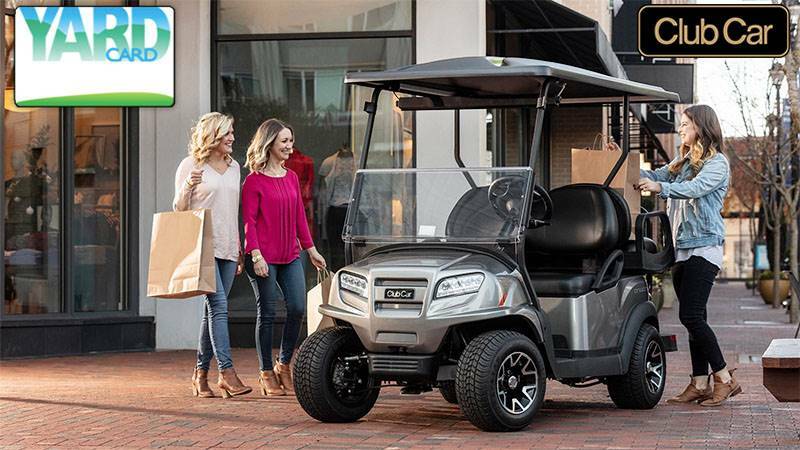 The smart on-board charger with reel retractor helps prevent common user errors and allows for charging at any 110-volt outlet. Long Cargo Box: Long cargo box used on Carryall 700 or 710 LSV Units to safely transport your supplies. CARGO BOX STAKE SIDE KIT: VersAttach (TM) clamps are utilized to attach the stake side kit on your vehicle's cargo box. 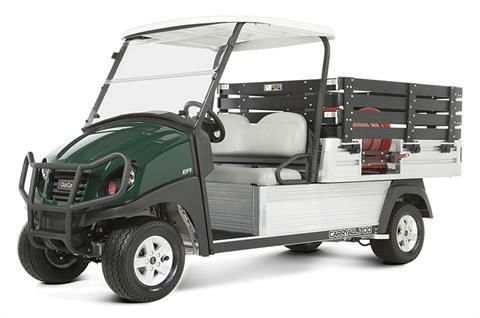 HOSE REEL: Greens watering is hassle-free and more convenient with the on-vehicle hose reel.